During an appearance on Tuesday’s Today show in the 9:00 a.m. 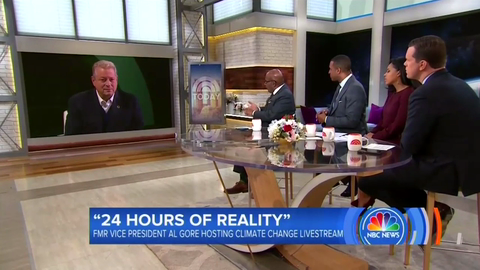 ET hour, former Vice President Al Gore praised NBC weatherman Al Roker for giving “long-time attention to the climate crisis” and “connecting the dots” on the issue. Gore appeared on the morning show while simultaneously taking part in a 24-hour livestream event to raise awareness about the favorite liberal agenda item.